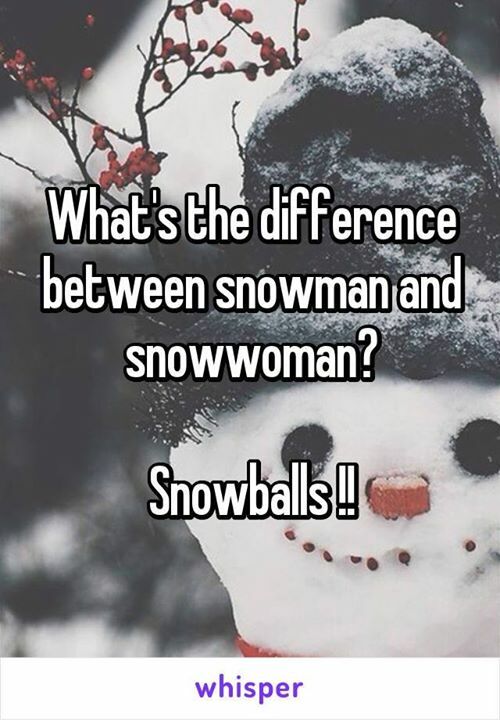 WHATS THE DIFFERENCE BETWEEN SNOWMAN AND SNOWWOMAN? SNOWBA - ProudMummy.com the Web's Community for Mums. WHAT'S THE DIFFERENCE BETWEEN SNOWMAN AND SNOWWOMAN? SNOWBALLS! !